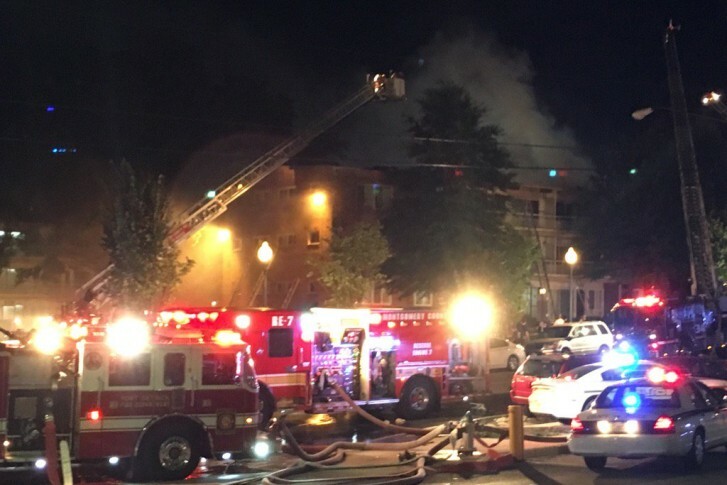 WASHINGTON — Montgomery County Fire and Rescue Service has released recordings of 911 calls made during Wednesday night’s apartment complex fire and explosion, revealing the frantic scene that resulted in three confirmed deaths and 100 displaced residents. 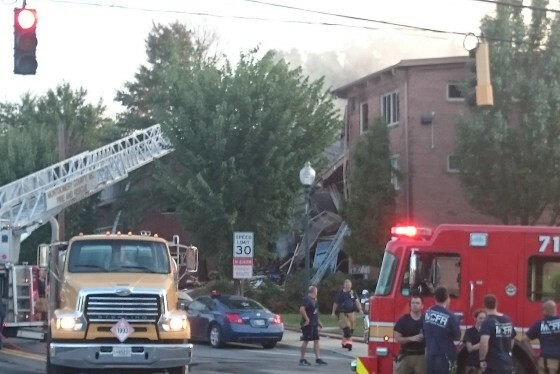 In the three recordings, which were released Friday, panicked callers described the devastating fire and the speed with which the flames overtook the Flower Branch apartment building in Silver Spring, Maryland. The woman said she lived in the apartment building. “There are three floors, and […] while I was talking to you, it went from first floor, second floor and now it’s going up the roof,” she told the dispatcher. In another call, sirens can be heard in the background as a man frantically tells the dispatcher the address of the apartment. “The whole apartment is on fire, from bottom to top, it blew up, everything’s collapsed,” he said. Another woman shouted to others in between giving information about the building to a fire department dispatcher. Two bodies were found in the debris of the apartment complex Thursday, and a third body was found Friday, police said. Thirty-four others were taken to hospitals. In a news conference Friday, police said they still did not know how many residents were still unaccounted for, calling for the public’s help in identifying and locating them. A special ATF team was still investigating the cause of the blast and fire Friday. Police asked members of the public with information about the whereabouts of the building’s residents to contact police by using the county’s 311 system or by calling 240-777-0311.